Noctua, makers of PC cooling products, is named after the little owl that is the symbol of the Greek goddess Athena. She represents wisdom, science, and strategy, which the Noctua company is striving to achieve. Formed by the cooporeration of Austria based Rascom Computerdistribution Ges.m.b.H. and Taiwan based Kolink International Corporation, the research and development shared by the two companies help propell their unique products. 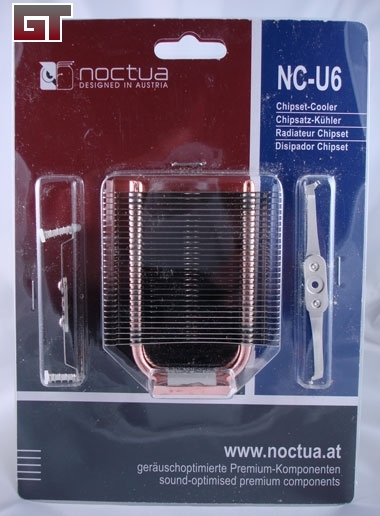 This time around, they have sent over the NC-U6 chipset cooler -- the miniature version of their mainboard chipset cooler. The package that the chipset cooler comes in is in their standard colors and style of formed plastic with a cardboard backing. 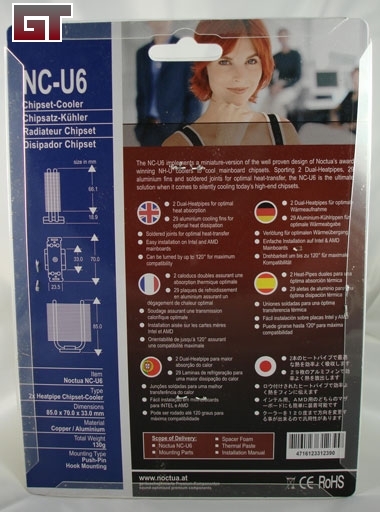 Th back of the package has all of the specifications and size information of the chipset cooler. Th size of the chipset cooler is 85.0 X 70.0 x 33.0 mm. 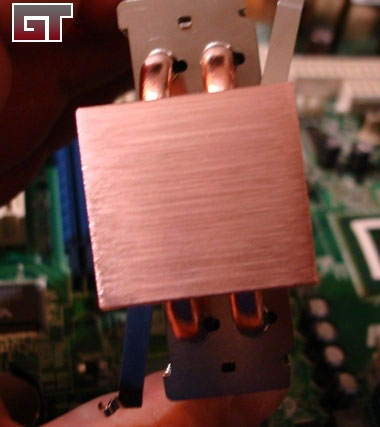 It is made up of copper and aluminum and weighs in at 130g. From initial inspection, the fins and the heat pipes look to be well spaced for air flow and cooling. On the back of the package it lets you know that there are 29 aluminum fins and soldered joints. I think they left one of the fins off of mine, as I only count 28 fins. 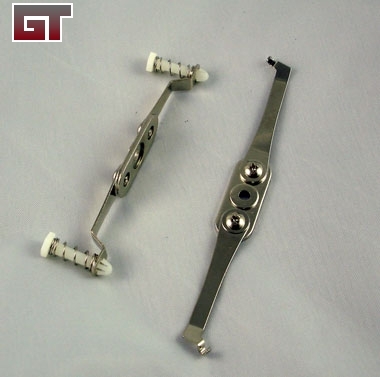 The package also includes some brackets to mount on your motherboard. 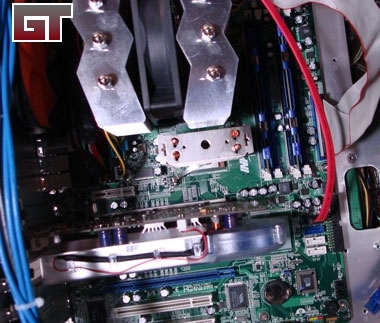 The screw and thermal paste is hidden behind the main cooling unit. 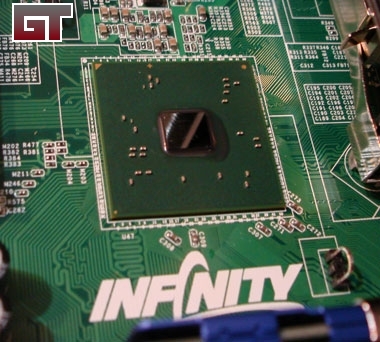 The northbridge that will get the extra cooling is on my DFI infinity 975X/G board. 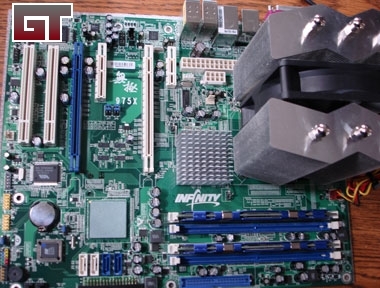 This motherboard uses the hook mounting brackets. The below picture shows the northbridge cleaned off and ready for the new cooler. 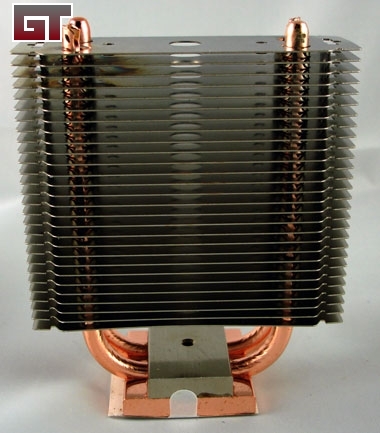 The base of the NC-U6 chipset cooler is not smooth or polished. 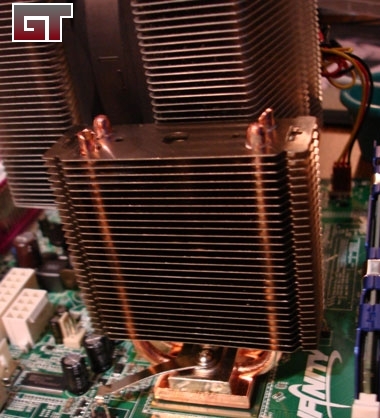 Having the large tower heatsink with the same type fins make things blend in together. Here is the cooler in the Mozart case.